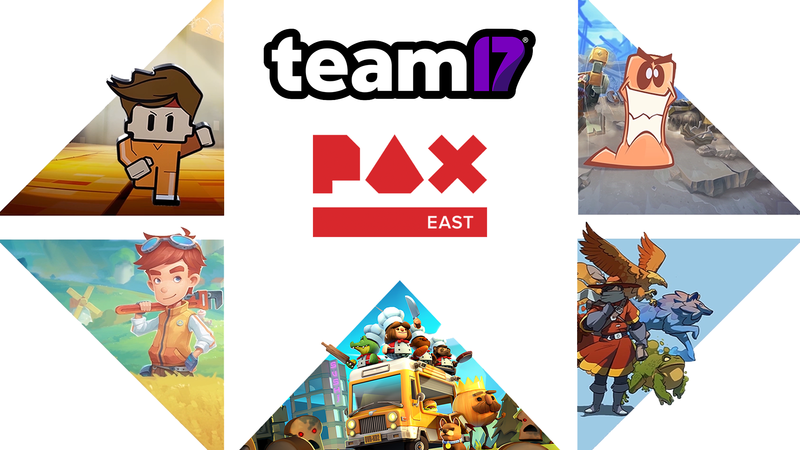 Today we’re excited to share our games line-up for PAX East in Boston, which kicks off this Thursday. During the event (March 28-31, 2019), you’ll be able to get your hands on both currently released games as well as brand new, upcoming titles and updates. As a bonus, if you play any two games at our booth, you’ll be able to get one our highly limited Pinny Arcade pin badges. Don’t wait around, however, as quantities are highly limited and once they’re gone, they’re gone! If you’re attending PAX East 2019, you can get early hands-on with the upcoming Campfire Cook Off DLC, that we just announced today for Overcooked! 2. Adding 12 new kitchens on a brand new map alongside new chefs, recipes and some new mechanics, we hope you’re interested to learn s’more when it launches on April 18th. Overcooked! 2 is available on Nintendo Switch, PlayStation 4, Xbox One and Steam. If you come by our booth, you’ll also be able to take part in our Overcooked! 2 cook-off competition. Bring your fellow chefs and take on the high score leader boards for a chance to win some cook-tastic prizes. Cosplay is highly encouraged! Playable for the first time on consoles, My Time at Portia invites you to explore a post-apocalyptic crafting adventure sim while making new friends and rebuilding your father’s workshop. My Time at Portia is currently available on Steam, GOG and the Epic Games store and is launching on Nintendo Switch, PlayStation 4 and Xbox One on April 16th. Pre-ordering even nets you some in-game rewards – learn more here. Do you like brand new, unreleased games? Come by our booth to play Moi Rai Games‘ Monster Sanctuary, which launches into Steam Early Access later in 2019. This epic monster collecting metroidvania tasks you with assembling a team of monsters to clash in tactical turn-based combat. Are you up to the challenge? Come find out! Can’t make it to the event? Check out the completely free Monster Sanctuary demo, available now on Steam. If you’ve yet to experience virtual prison life, you’ll also be able to get your hands on The Escapists 2. Attend routines, make prison friends (and enemies), craft and scheme your way to freedom! The Escapists 2 is available on Nintendo Switch, PlayStation 4, Xbox One, Steam, iOS and Android. If you want to brush up on some tips before getting your hands on the game, check out our Guide to Freedom here. If worm warfare is more your thing, come by and play the latest entry in the long-running Worms franchise, Worms W.M.D. Worms W.M.D is available on Nintendo Switch, PlayStation 4, Xbox One and Steam. If you’ve been with us for a long time, you might recall when Worms Armageddon launched back in 1999 – a whopping 20 years ago! To celebrate this fact, we’ve launched a competition where one lucky gamer could win every single Worms game on Steam PLUS some exclusive Worms merchandise. You can enter over here. Good luck! Our PAX East booth is quite close to the entrance of the show. If you walk just past the Oculus booth and make a right (just before the Nintendo booth), you’ll be able to see us straight ahead. Check the map below for a visual reference. We hope to see you there! Hell Let Loose – Steam Early Access Launch Date & Pre-order!